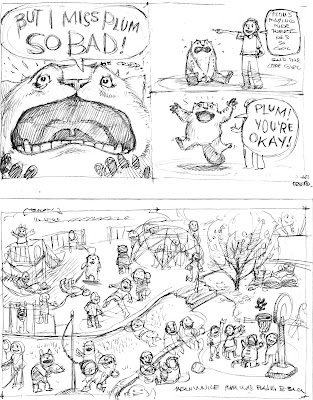 I was digging through some files yesterday and found my some of my earliest Yellowbelly and Plum thumbnail drawings. 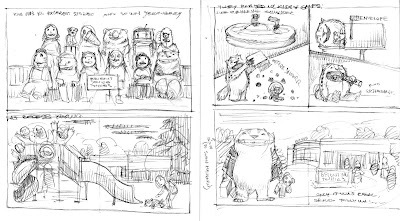 I don't think the publisher even saw these, I did a bigger, tighter set of sketches for them. But I enjoy the loose scribbliness of these early drawings. It's surprising how little really changed for the final artwork. Nate, My 3-year-old Jack LOVES that playground page. He loves counting the robots.